Tourtière is a pastry-covered meat pie originating from Quebec, usually made with minced pork, veal, beef, or wild game. It is a traditional part of Christmas (réveillon), New Year’s Eve, and Thanksgiving meals in Quebec. It can also be found in grocery stores and delis all across Canada, all year long. 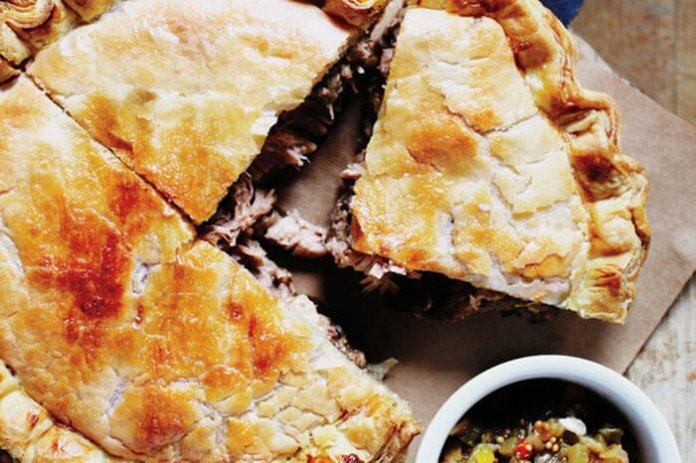 Tourtiere can be eaten with ketchup, maple syrup or molasses, mango chutney, or cranberry preserves. 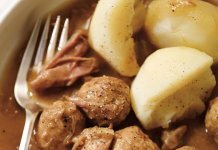 The Montreal version is usually made with pork, while the one from Lac Saint-Jean region has potatoes added in the meat pie. 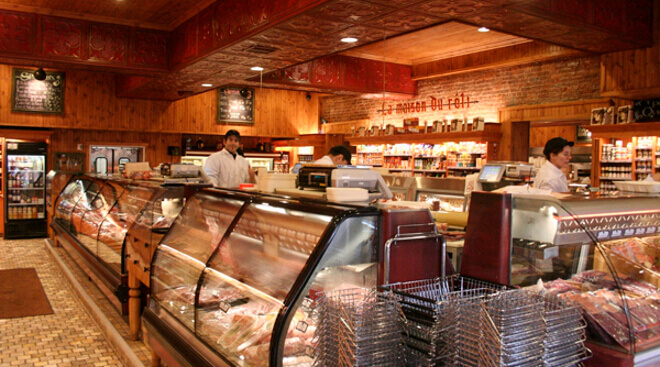 Meat wholesaler, specialty butcher shop and deli. 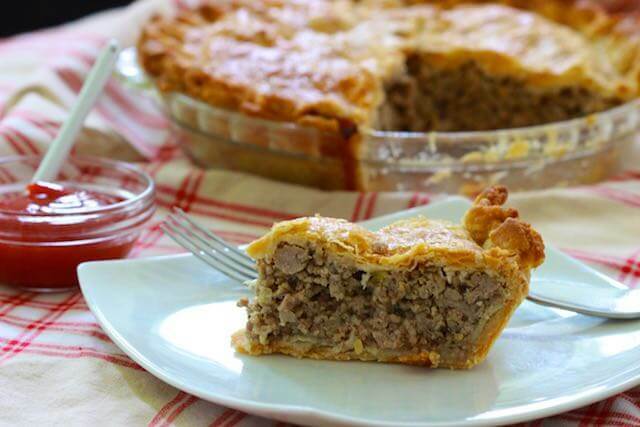 It offers a few different types of Tourtières including the “maison” pie (house pie) which is made with veal, pork and beef. 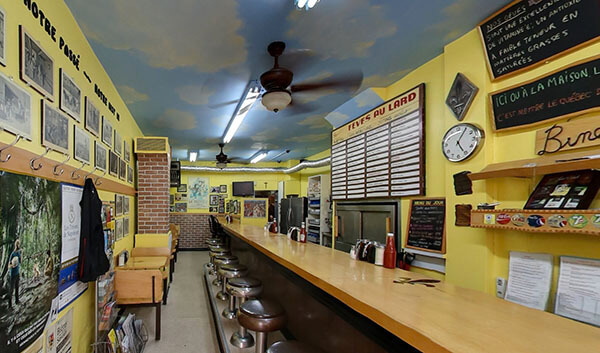 They also sell duck, game, or lamb Tourtières, and the Lac St-Jean style. 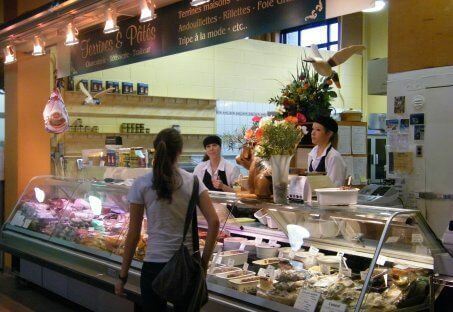 Terrines & Pâtés is located in the Atwater Market and is a delicatessen that also serves pre-cooked meals. The staff makes a series of home made tasting meat pies right in the shop. 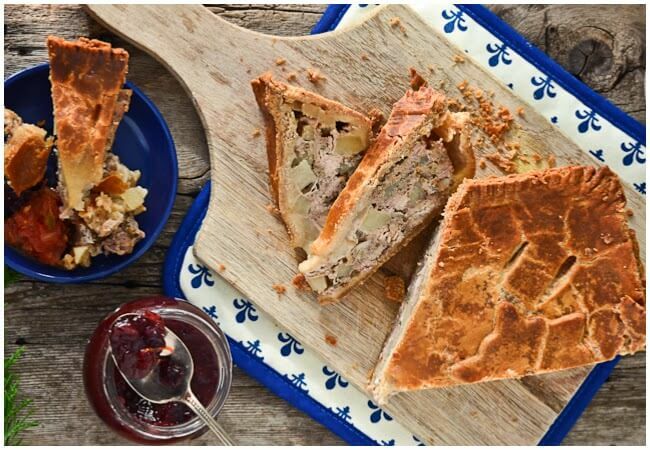 The pies can include, but are not limited to venison, boar, guinea hen, duck, pork, or veal.